As professional pull up banner printers, we are able to create a great range of pull up banners for customers throughout Nottingham and the surrounding areas. 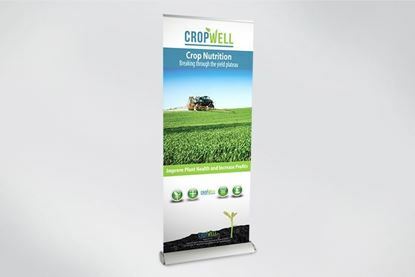 The range of pull up banners we offer can be full personalised around your requirements and you’ll be able to choose from a number of things such as design, size and much more. We pride ourselves on offering such a great range of pull up banners to choose from. With the options of eco, mid-range and premium pull up printed banners, there’s something to suit all of our customers budgets. Our pull up banners can also be finished in laminate to provide a much more durable finish. We can work with a design you provide or our expert team can create a design concept for you. When it comes to roller banners and pull up banners in Nottingham, be sure to get in touch with CRS Graphics. We offer a great range of banners such as our premium roller banners which can be fully customised around your requirements. All of the pull up banners we offer are designed and manufactured to some of the highest industry standards. We believe in going the extra mile for our customers throughout Nottingham and we aim to not only meet but exceed our customers’ expectations. For quantities of more than 10, please request a Quote for our most competitive prices. 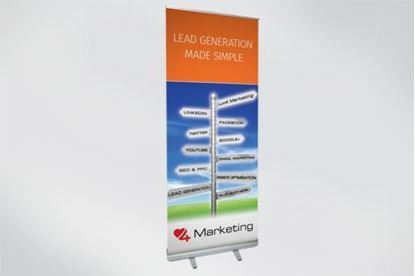 Our Mid-range Banner offers a sturdy base with magnetic end caps and easily replaceable, velcro fixed graphics. 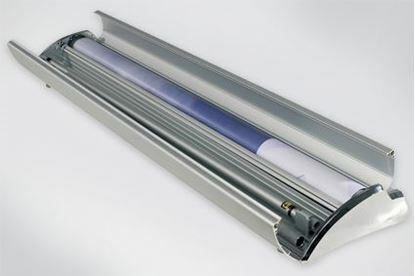 Our Premium Banner offers a telescopic pole for adjustable banner heights between 1600mm and 2150mm with a quick release roller for easily replaceable graphics. Copyright © 2019 CRS Graphics. All rights reserved.